Jean Shrimpton photographed by Duffy for Vogue in 1962. This was the first shoot that Duffy did independently for the magazine outside of his contract which ended in September. Images from the session were published in the October issue. Jean was a huge part of the Swinging Sixties becoming one of the most iconic models of the era. Born in 1942, Shrimpton began modeling at age 17. 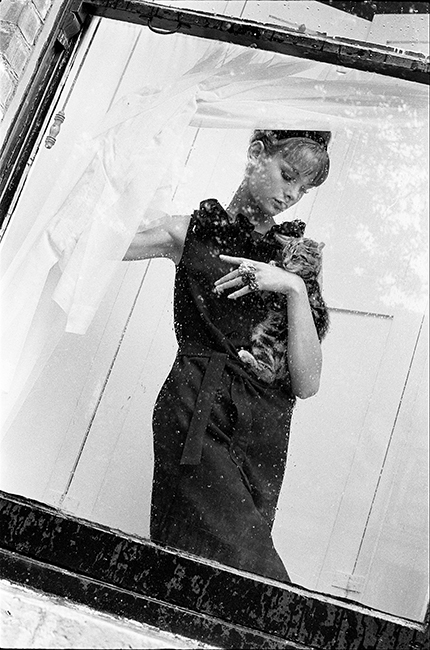 Duffy introduced Shrimpton to David Bailey on the set of a Kellogg’s Corn Flakes advert. Duffy told Bailey she was too posh for him but was undeterred. Duffy worked with Shrimpton throughout his career from the early 1960s through to their work with Biba in 1973. Quote ref: Z_0125_23 if you require press information regarding this image.